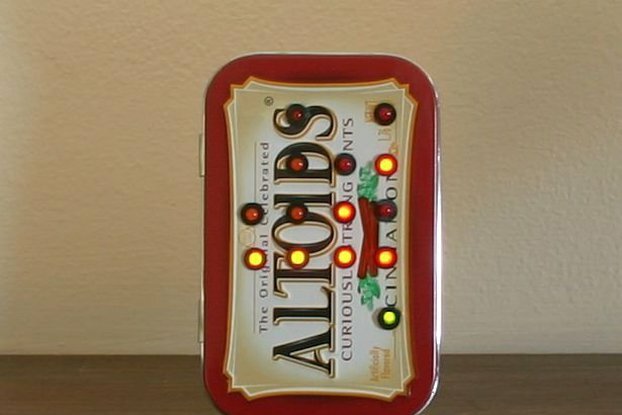 A powerful, wifi enabled base for the internet of things. 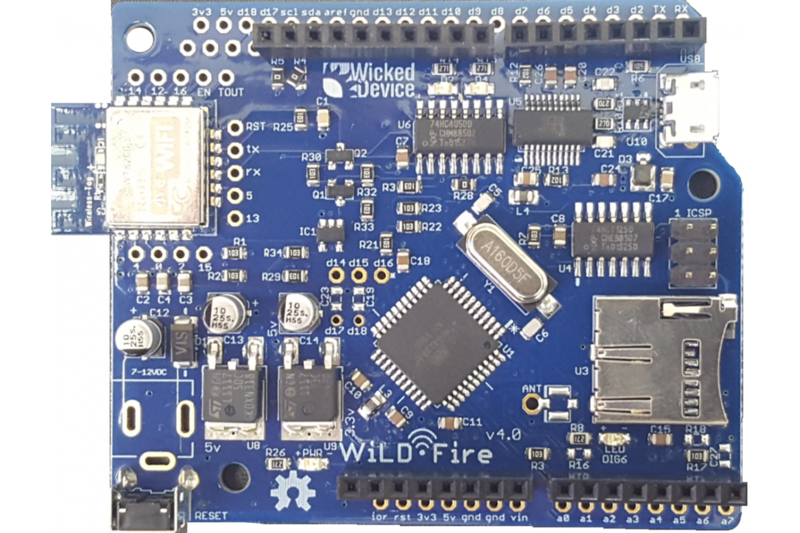 WildFire is the whole package for production applications – a 100% open source Arduino-compatible IoT platform including an ATMega1284P PLUS ESP8266 WiFi Module PLUS micro SD Card Slot PLUS External 4Mbit SPI Flash PLUS external watchdog timer chip. 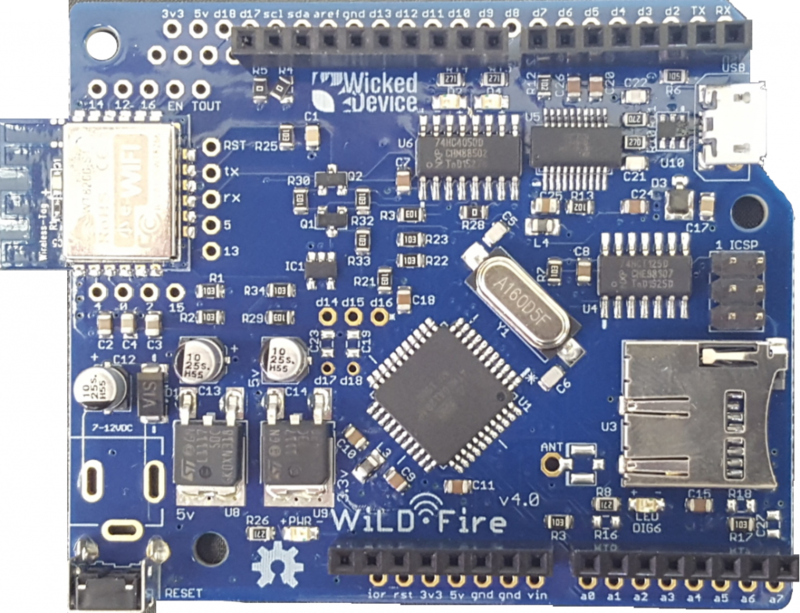 This means you can run an entire IoT platform on ONE board, log data to the web and store images or data on the SD card. 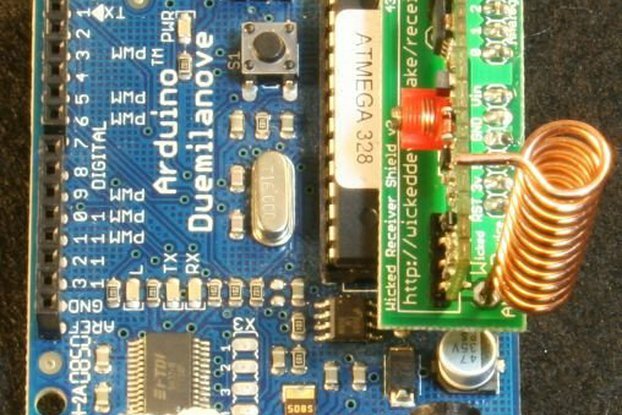 The external watchdog timer automatically resets the ATmega1284P if there is a code lockup. 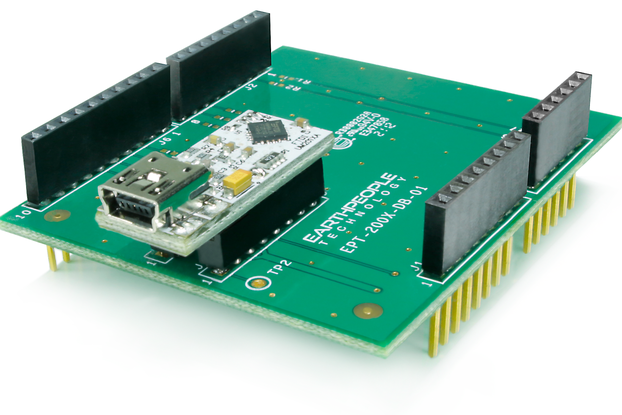 It's programmable with the Arduino environment, so you control everything – there is no hidden layer of code. 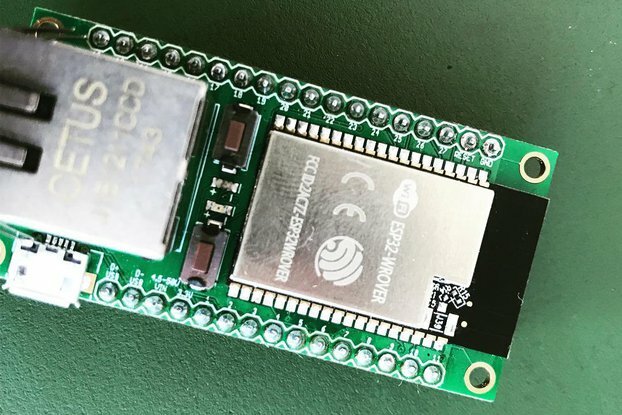 It's based on the Atmel ATMega1284P microcontroller and a ESP8266 WiFi module, which means plenty of space for your code. It comes pre-programmed with a sketch allowing you to publish any analog pin value to data.sparkfun.com. 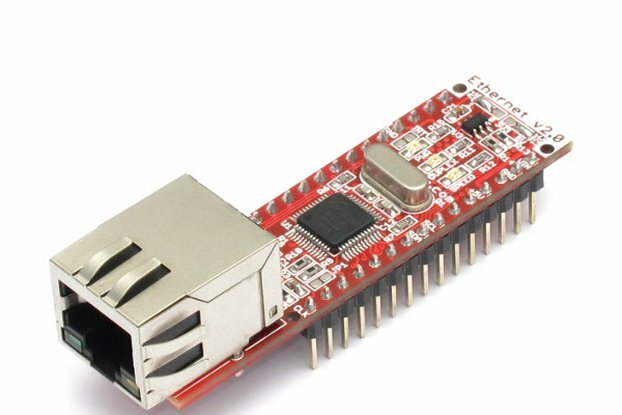 You just give the board your network credentials once over a serial terminal. It is also programmable with a web browser using CodeBender.cc. We recommend this as it's the easiest way to get up and running, and share sketches. Some Mac users have reported USB issues that are addressed in this blog post. The WildFire comes with a preinstalled sketch which publishes data to the internet. You need to set it up with some basic configuration data over the serial port – like your network ID and password. 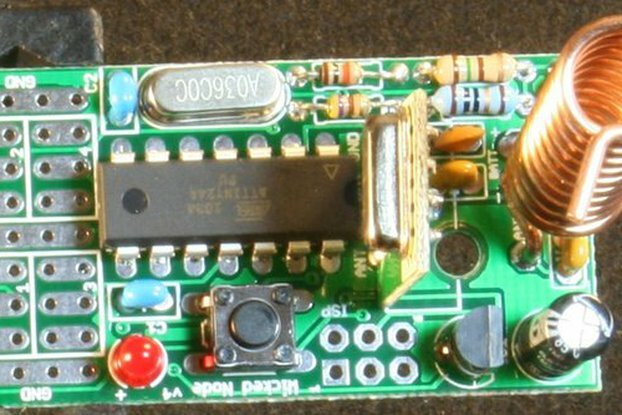 Once this is complete, you have a web page where you can see the value of one or more analog pins. By connecting sensors to these pins, you can see the value of the sensors automatically. Information on how to set this up is included in the documentation that ships with the WildFire.